So, it’s the end of the world and what’s for dinner? How about we whip up something in the crock-pot so we can actually every the day and get to all those things on our bucket list. Then, if the end of the world doesn’t kill you, the heat from this chili will make you wish it had. Toss everything into the crock pot and go and enjoy the day! BTW did anyone notice anything interesting in the ingredients list? So, lets make another salsa, this one is a pineapple salsa. I love to serve this as a side to fresh grilled pork. This simple salsa should help us finish off the cilantro and limes. Toss all ingredients together in a large bowl. Cover and chill until ready to use. Quick and simple. I’m still using those limes I picked up at the great Western Beef sale. 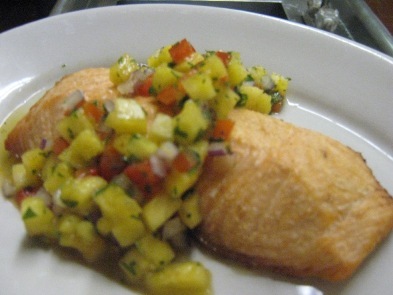 Today, I share another one of my salsa recipes. This one uses a little lime juice with tomatoes, onions, poblanos, and cilantro. The trick to cutting down on the bite of the onion is to wash the diced onion before adding it to the mixture. Put chopped onion and garlic in a strainer; pour 2 cups boiling water over them then let drain throughly. Discard water and let it cool. 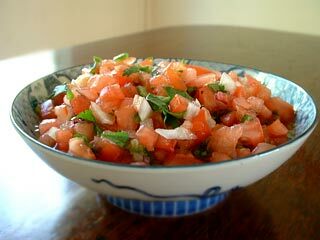 Combine onions and garlic with chopped tomatoes, peppers, cilantro, lime juice, salt, and pepper. Refrigerate for 2 to 4 hours to blend flavors. This makes about 2 cups of salsa. 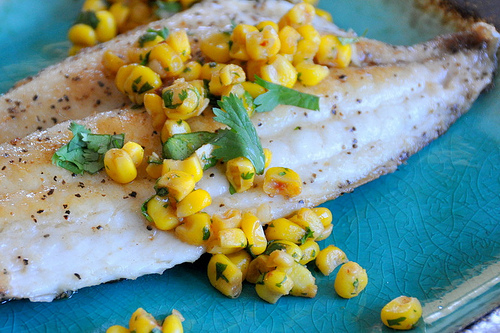 Haddock is a popular, plentiful, meaty, tasty, fish that is a good choice on our sustainability scale. Grill it, broil it, fry it, poach it, bake it, but we will make it steamed so that we highlight the mildness of the fish in comparision to the bold flavor of the salsa. So, don’t use too much salsa, a little goes a long way as far a flovoring the fish is concerned. steam the fillets. I use a bamboo steamer rack in my wok to lay out the fillets. Keep an eye on them they steam quick. Take two cups of cooked corn and add finely dice Poblano peppers, onion, and jalapeños. Toss in the cilantro, and squeeze the juice of half a lime and then add some sea salt and a little pepper to taste. Save the other half of the lime for tequila shots!